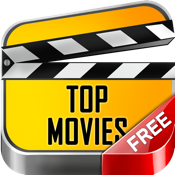 Enjoy free collection of the best old movies with this film streaming app. Top free films will give you exciting hours with time-tested film stars such as Sophie Loren and Johnie Cash. Browse the list of titles, read descriptions, and choose one of the best drama or comedy from world cinema! Please, notice that internet connection is required. All movies are in Public Domain.